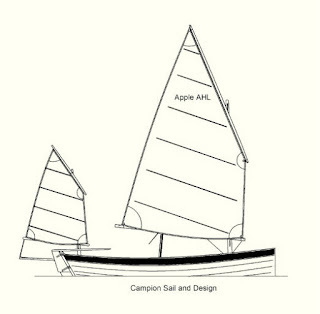 So after a seemingly endless period of searching and general hand wringing about the best possible design for a new build I have settled on the Campion Apple 16. Originally, I kind of fell in love with the Caledonia Yawl and had planned to build that, and even went so far as to seek out a ride in one in Maine with Jeff Kerr (who builds them for a living). I'm still in love with the design, but decided to pass on it for now because of a number of factors. The first being cost; a bigger boat means more lumber and larger everything. Part of that cost was figuring in that I would do a kit which has a fairly steep upfront cost. Another reason was that I wanted to build something that wouldn't necessarily take as long if I was committed. Finally, while I enjoyed sailing the Caledonia Yawl, it is first and foremost a displacement boat, and I am still nimble enough to want to have a boat that can get up on a plane and go when the wind is right. 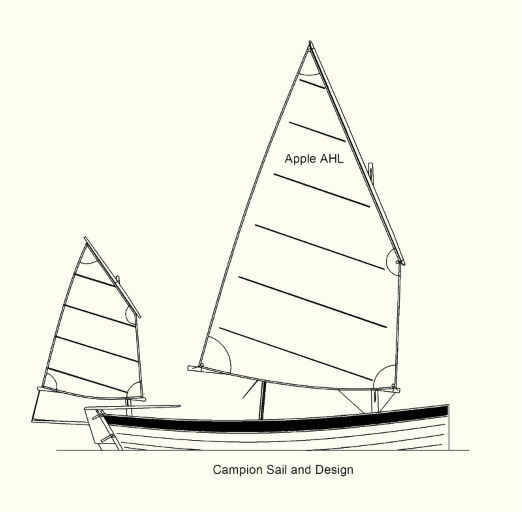 The Campion Apple satisfied all of those requirements and I think it's a lovely design. The plumb bow and yawl rig make it very distinctive and it exudes its Northern European heritage. I will be building the stitch and glue form but it can be built clinker style. I think it should be a fun build.